Generic programming holds great promise - ultimate reuse, unprecedented flexibility, and never a need to reimplement an algorithm from scratch due to abstraction penalties. Unfortunately, the shiny city on the hill is difficult to reach. C++'s generic power has effectively reached a plateau - anything but the simplest generic constructs quickly turn an exponential complexity/benefit elbow. C++11 fails to be a strong sequel in the generic programming arena, and many other languages don't seem to "get" genericity properly at all. The D programming language is a definite exception from this trend. D makes short work of the most formidable generic programming tasks achievable with C++, and makes virtually impossible tasks readily doable. It also reduces the relevance of "Modern C++ Design" to that of an introductory brochure (much to the dismay of that book's author). This talk has a simple structure. It will pose a few generic programming tasks that seem difficult or impossible with current language technology, and then will show solutions in D that solve said problems. Andrei Alexandrescu coined the colloquial term "modern C++", used today to describe a collection of important C++ styles and idioms. His eponymous book on the topic, Modern C++ Design: Generic Programming and Design Patterns Applied (Addison-Wesley, 2001), revolutionized C++ programming and produced a lasting influence not only on subsequent work on C++, but also on other languages and systems. With Herb Sutter, Andrei is also the coauthor of C++ Coding Standards: 101 Rules, Guidelines, and Best Practices (Addison-Wesley, 2004). Andrei has been the key designer of many important features of D and has authored The D Programming Language book. 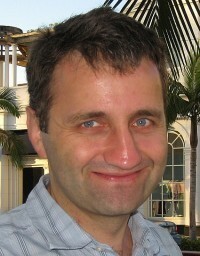 Andrei holds a PhD in Computer Science from the University of Washington.